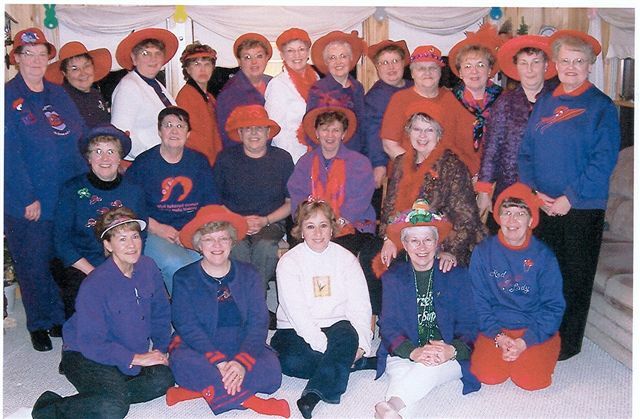 The Brandon Red Hatters were organized in the Spring of 2004. The only qualification to join is you must have a "red hat" and be over 50 years old. You may also belong if you are over 40 but then you must wear a pink hat. Hats must be worn to each event or get together. The object of the group is to have a good time. Each member suggests things they would like to do such as day trips on a bus tour, pot lucks, visiting flower gardens, parks, etc. This summer we were responsible for four flower planters in Brandon. Next year we hope to donate and prepare more. We also took part in the summer festival parades in Brandon and Garfield. Our next event will be going to the Prairie Wind Players production in Barrett on November 17. The cost is $8. If you are interested in joining, call Marcia Bolin at 320-524-2174.